Grado’s pedestrian zone is one of the nicest places to take a stroll in this small, picturesque fishing town on Friuli’s Adriatic coast. The boardwalk is dotted with restaurants of all kinds, ice cream shops and coffee bars. 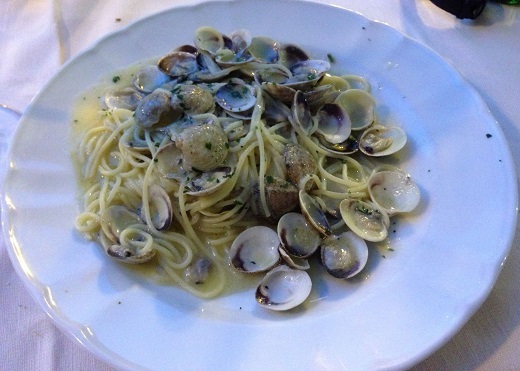 For a great meal, we always head to de Toni, where proprietor Massimo Gaddi and his staff offer a menu of local specialties that showcase best of the region’s pristine fish and seafood. The outdoor seating in the summer makes for a quintessentially Italian experience that captures the essence of la dolce vita. Is there a better way to start off a summer dinner than with a plate or two of fritto misto? I doubt it. De Toni’s version is one of the best. 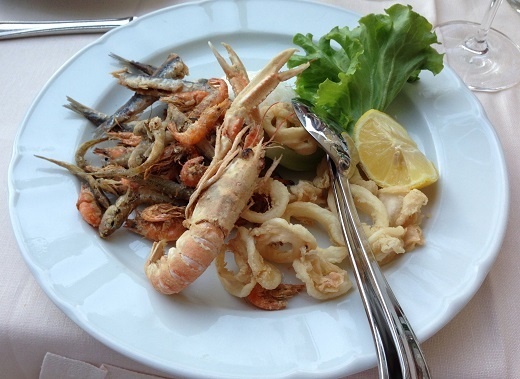 The calamari, scampi and assorted fried fish are absolutely delicious. Toni’s spaghetti alle vongole is also fabulous. 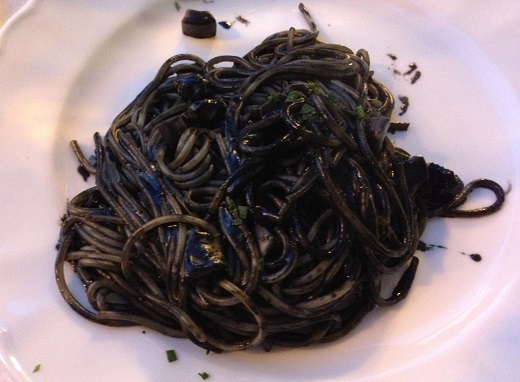 The spaghetti with squid ink is tasty, but the flavors are so intense, one or two forkfuls is more than enough for me. 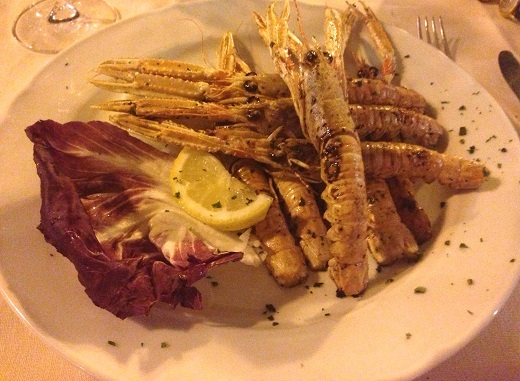 On the other hand, I could eat several servings of the grilled scampi, which are outrageous. The flavors seem to jump off the plate as I work through these delectable creatures of the sea. A little effort is involved, but it is well worth it. What to drink? Well, I wish de Toni had a better wine list. The small list is frankly not at the same inspired level as the food. Most of the choices are pretty pedestrian. 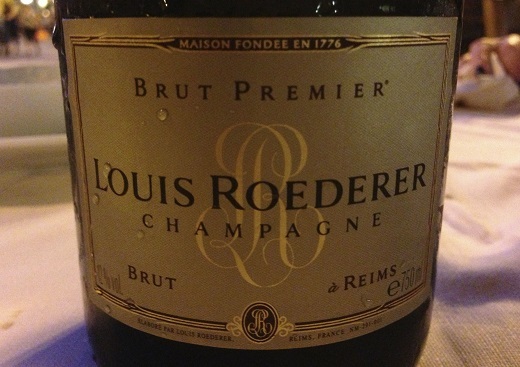 But Roederer’s NV Brut Premier more than does the trick. One of my favorite reasonably priced Champagnes, the Brut Premier is a perfect foil to the salty, briny flavors of the sea. We polish off two bottles without much effort. I am not a huge dessert fan, but I can’t resist the homemade pastries, all of which are a big hit at our table. Just a small sweet bite or two and a great espresso makes for a perfect end to this delicious dinner.